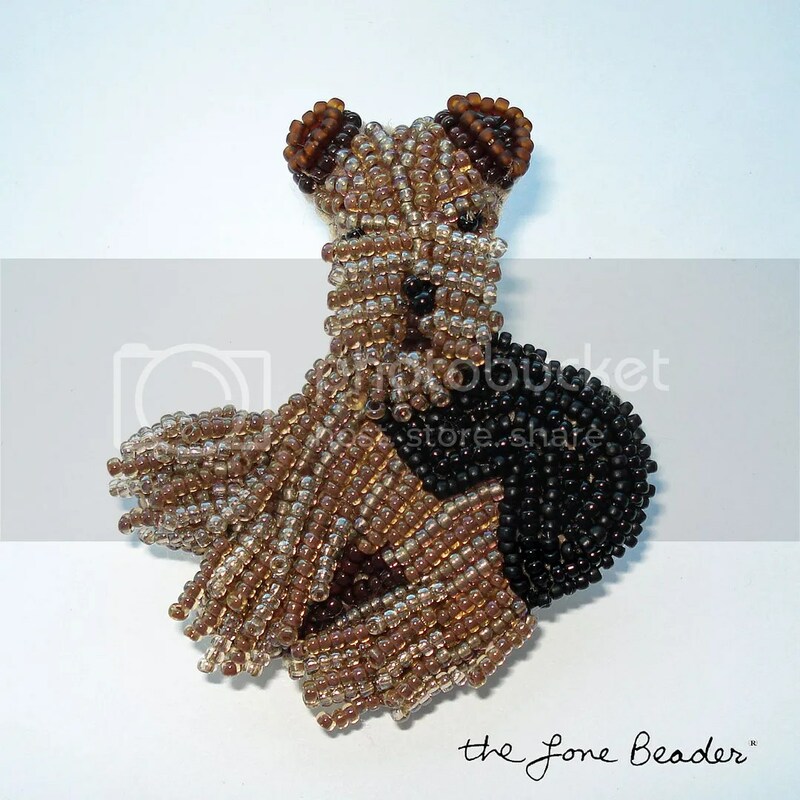 Check out my new beaded Airedale Terrier pin! Since my family had an Airedale named Tawny when I was growing up, I decided I should always have one available for sale. This piece was created using only Japanese size 15 seed beads and a tiny glass taxidermy eye for the nose. Beaded fringe was layered on her nose & legs- this fringe actually moves when you touch it! This piece is also a pendant which can be worn on your favorite necklace chain. Please click the pic for more details. If you are interested in a custom beaded pin which looks like your dog, please contact me through my Etsy shop. Back to beading!